A short item of news from Reuters on 16 November, repeated by many papers, startlingly suggests that the Irish Government accept that a hard border between Northern and Southern Ireland can be avoided in the case of a no-deal Brexit. It will be difficult, but the Irish Foreign Minister, Simon Coveney, anticipates discussions with the United Kingdom to that end. This indicates, as BfB has repeatedly argued, that the border issue is a pretext. Ireland has no plans to start preparing infrastructure for a possible hard border with Northern Ireland, Irish foreign minister Simon Coveney said on Friday. ‘What we are not doing is putting contingency plans in place that would result in border infrastructure between the two jurisdictions on this island. Surely we have learned lessons from the past,’ Coveney told reporters at his Fine Gael party’s annual conference. Mr Coveney added that those talks would not be easy. On reading this it is necessary to remind ourselves of what has happened over the last eighteen months of Article 50 negotiations. The entire Backstop issue centres on the EU’s conclusion that it is impossible for it to permit an open border without extending to Northern Ireland all the measures included in the EU’s Backstop demands. 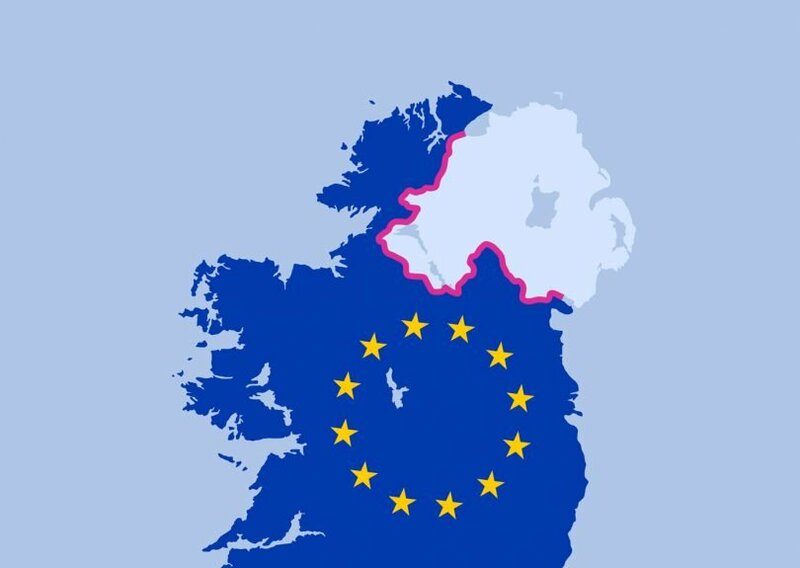 The EU holds that because there must be an open border, and because it is for the United Kingdom to solve the problems, then Northern Ireland must accept the EU’s jurisdiction in perpetuity on a wide range of matters. Furthermore, if the United Kingdom wishes to avoid economic divisions within its borders, then the whole of the United Kingdom must accept EU jurisdiction. There had been technical discussions between the United Kingdom and Ireland. But Ireland terminated these in the summer of 2017. After this, the EU dismissed the technological suggestions made by the UK, and refused to countenance any discussions as to what might solve the problem. 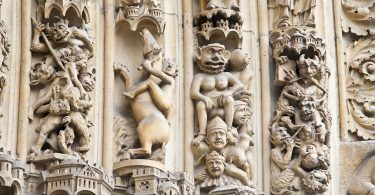 The EU has for the moment triumphed in its discussions with Theresa May. The Hobson’s Choice offered to the United Kingdom by the EU’s position on the Backstop was the key to forcing the government away from a Free Trade Agreement and back into the Customs Union. If EU sources are to be believed, what the EU achieved through the Backstop will be the baseline for the future trade agreement. Reuters were paraphrasing. It may be that they misunderstood entirely. How to achieve an open border can be meaningfully discussed even if the Backstop is lost in its entirety. An open border may be achievable even if there is no Free Trade Agreement at all. Nothing is actually going to be done by Ireland between any UK rejection of Theresa May’s agreement and actual Brexit to create a hard border. 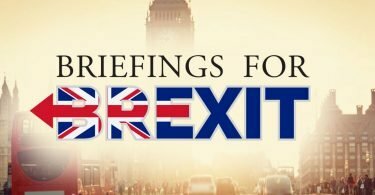 Although the EU will soon be fighting an all-out economic war against the United Kingdom largely for the sake of keeping the Irish border open, the Irish expect that the UK will spend time discussing how to avoid a hard Border when such hostilities commence. Unless Mr Coveney has been utterly misunderstood, this must be a Freudian slip. With the EU’s job apparently done, discipline has lapsed. After eighteen months asserting with ever greater certainty that there is no way of avoiding a hard border other than giving the EU jurisdiction over Northern Ireland, the Irish Foreign Minister suggests that this might all be achievable in any case. The UK and Ireland would sit down and discuss alternative solutions. But if this would be possible when the Irish are staring down the barrel of no-deal, why was it not possible in the summer of 2017? Why was it not possible to hold these discussions this year? How it can it be justifiable to permanently take away Northern Ireland’s say in many of their laws in order to avoid a hard border, if Mr Coveney is saying that an alternative solution might be found in a few months if the things do not go to the present plan? Doubtless if the May deal is accepted, the Irish Government will recover its swagger and start demanding current access to UK fisheries – maybe repeating the earlier threat to end civil aviation between the two countries. But, for a brief moment, the Irish put their mind to the possibility of no-deal. In this moment, the Irish Government believe that there are solutions other than Backstop, and that the two governments can find an alternative. Unfortunately, if the May deal is accepted, Mr Coveney will not be looking to explore such possibilities in a hurry. He will have no need of alternatives. The EU will not compromise the power the Backstop gives it over the United Kingdom. It is, however, important to mark well what Mr Coveney said for its admission that alternatives are possible. There may come a time when the United Kingdom will want to remind the EU that the Backstop was an insurance policy, and insurance is a matter of the utmost good faith. Mr Coveney’s Freudian slip suggests that a case for voiding the EU’s insurance policy for bad faith will be readily made out.